for coupon bond options and the put-call parity for swaptions given in Eq. (4.30) is a special case. 5 Suppose the swaption has a duration such that N is even. Note that for N = 4 the underlying swap has a duration of one year. 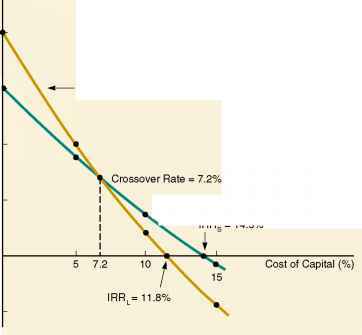 6 The price of Cr for the case of 90 day floating and 180 day fixed interest payments is given from Cl by using the put-call relation similar to that given in Eq. (4.30). It is only due to the asymmetric nature of the last coefficient, namely cN and CN/2 for the two cases discussed above, that the swap interest rate RS does not completely factor out (up to a re-scaling of the strike price) from the swaption price. Options on swapL and swapR, namely CL and CR, are both call options since they give the holder the option to either receive fixed or receive floating payments, respectively. When expressed in terms of coupon bond options, it can be seen from Eqs. (4.28) and (4.31) that the swaption for receiving fixed payments is equivalent to a coupon bond put option, whereas the option to receive floating payments is equivalent to a coupon bond call option. The payment of interest is made at time T +1; hence the price of the caplet at t* is given by discounting the payment by the bond B(t*, T +1). The summation on the caplets is now inside the expectation value and hence there are cross-terms leading to correlations between all the caplets. These correlations are needed for determining the swaption price, as discussed in Chapter 12. In summary, the prices of the interest rate cap and swaption show a fundamental difference between the two instruments. The cap price is a linear sum of the caplet prices, which are all independent and have no correlation with each other. In contrast, for the swaption the payoff function is a linear sum of component caplets. Taking the expectation of the payoff function gives rise to complicated and nontrivial correlations between all the component caplets. This is the fundamental reason why the price of a swaption is much more complex and difficult to evaluate than the price of an interest rate cap. The price of liquid interest rate options, such as caps and floors, encode all the available market information. The underlying Libor rates are common for these options, and consequently one can extract information on the Libor rates from caps and floors. The main challenge for market participants is to use this information for pricing other (exotic) options. In particular, the market prices of interest caplets are often used for fixing the volatility of Libor. To reduce the number of inputs, volatility parameters in a given Libor time interval are often assumed to be constant and lead to many inaccuracies. Furthermore, longer maturity options require a large number of volatility parameters due to the aggregation of the volatility parameters from each Libor future time interval. The HJM (Heath-Jarrow-Morton) model  is the industry standard for studying interest rates and has been extensively investigated, both analytically and empirically [48, 57, 88]. In particular, an exact expression for coupon bond options has been obtained in the HJM framework using stochastic calculus . The discussion in this section is a preparation for the more general formulation of forward interest rates discussed in Chapter 5. Eq. (3.5) shows that one can consider the present value of a zero coupon bond as resulting from a stochastic process followed by the spot interest rate r(t). However, in the HJM approach the forward interest rates f(t, x) are considered as fundamental, and the value of the present-day value of the bond B(t, T) is taken as input from the debt market; the spot interest rate r(t) is just one point of the f(t, x) curve, namely r(t) = f(t, t). The forward interest rates f(t, x) are driven by random variables R(t), which give the same random'shock'at time t to all the future forward rates f(t, x), x > t. To bring in the maturity dependence of the random shocks, the volatility function o(t, x), at given time t, weighs this 'shock' differently for each x. The HJM model evolves an entire curve f(t, x); for the K factor model, at each instant of time t, it is driven by K random variables given by Ri (t), and hence has at most K degrees of freedom. 7 The generalization of the HJM model, which is the subject matter of Chapter 5, makes the theory of forward interest rates mathematically equivalent to a two-dimensional quantum field theory. where Oi (t, x) are the deterministic volatilities and Ri (t) is a vector Gaussian white noise. No new insight is offered by the K-factor model and hence only the one-factor model is analyzed. rate (fixed by the martingale condition), and a is the stock price's volatility. The Sharpe ratio is an important quantity is assessing the risk premium for a stock. In the quantum finance formulation of the forward interest rates, the quantity f(t, x) always appears in the HJM combination and has far-reaching consequences. The coupon bond option price in the one factor HJM model with exponential volatility has been stated in [34, 65] and a path integral derivation is given of this result. The derivation illustrates many key features of path integration in a simple context and serves as an exemplar for more complex derivations. 9 The definition of wo given in  differs from the one given in Eq. (4.46). Figure 4.11 The nonlinear relation of K and wq. The quantity w0 is related to the strike price K by a nonlinear transformation that depends on the initial coupon bond price . Figure 4.11 shows a typical dependence of K on w0. where N(d) is the probability integral for the normal distribution defined in Eq. (3.61). The coupon bond European option is equal to the sum of terms that refer to options on its constituent zero coupon bonds; all correlations between the different zero coupon bonds are absent in the HJM coupon bond option price. It will be shown in Chapter 11 that in the quantum finance model of forward interest rates the coupon bond option price has cross terms of the constituent zero coupon bonds of arbitrarily high order. The small volatility limit of the HJM coupon bond option price is obtained. In Chapter 11, a quantum finance derivation is given of the coupon bond option price; a limiting case of which is shown to be the HJM small volatility price. Interest rate derivatives, namely interest rate swaps, caps, and swaptions were briefly discussed. Coupon bond options were also discussed and it was shown that swaptions can be viewed as a special case of coupon bond options. Put-call parity for coupon bond options were derived and were shown to follow from the definition of the payoff functions. The main focus of this chapter was on the mathematical formulation of the debt instruments. In particular, the precise expression of the options' payoff functions and the formulas for determining the option price were obtained and analyzed. The HJM model was given a path integral formulation. The forward interest rates were shown, in the HJM model, to be driven by a single white noise. The coupon bond option HJM price was evaluated exactly, for an exponential volatility function, and was seen to have no correlation terms between the constituent zero coupon bonds. The combination [df(t, x)/dt — a(t, x)]/a(t, x) is the most important feature of the HJM model. This combination is reflected in the stochastic differential equation that defines the HJM evolution of f(t, x) and carries over to all forms of generalizations, including the quantum finance model for f(t, x) as well as the quantum Libor Market Model. A quantum field theory of forward interest rates is developed as a natural generalization of the HJM model: the forward interest rates are allowed to have independent fluctuations for each future time. The forward interest rates are modeled as a two-dimensional Gaussian quantum field, leading to forward interest rates that have a finite probability of being negative. The model is consistent not for the interest rate sector but only for the bond sector and is consequently called the bond forward interest rates. The concept of a quantum field is briefly discussed in Appendix A.7. The 'stiff' quasi-Gaussian model, together with the concept of market time, describes the forward interest rates. A differential formulation of forward interest rates' dynamics is obtained. Using a singular property of the forward interest rates' quantum field, a generalization of Ito calculus follows from the Wilson expansion. A derivation of a risk-neutral measure for zero coupon bonds is obtained based on the differential martingale condition. The complexity of the forward interest rates is far greater than that encountered in the study of stocks and their derivatives. A stock, at a given instant in time, is described by only one random variable (degree of freedom) S(t) and which is usually modeled using stochastic differential equations. In the case of interest rates, it is the entire interest rates yield curve f(t, x) that undergoes a random evolution. Clearly, at each instant, the most general random evolution is that the forward interest rates f(t, x), for each of future time x, should be an independent random variable. In the industry standard HJM model, as discussed in Section 4.11, the forward interest rate evolution equation is similar to a stock S(t); this fact leads to the following major limitations of the HJM model. • Forward interest rates are not directly observed, in contrast to Libor and Euribor, but instead are derived from traded instruments such as the Treasury Bond zero coupon yield curve. This shortcoming is addressed by the Libor Market Model, discussed in some detail in Chapter 6. • The forward interest rates in the HJM model are defined by the stochastic differential equation given in Eq. (4.38), which is driven by one random variable R(t), similar to Eq. (3.10) for S(t). For this reason, all the forward rates are exactly correlated, leading, for instance, to the unreasonable possibility of hedging a 30-year Treasury Bond with a six-month Treasury Bill. • Empirical studies of the debt market show that the forward interest rates have nontrivial correlation in the future time direction. These correlations yield observable effects in the pricing and hedging of interest rate instruments. One needs to look beyond the HJM model to describe the behavior of the forward interest rates. The limitations of the HJM model are redressed quite naturally in the framework of quantum finance. Forward interest rate models, based on quantum field theory, are able to incorporate correlations between forward interest rates with different maturities in a parsimonious and minimal manner. These models are computationally tractable and well suited for empirical implementation. This is the main motivation for studying forward interest rates from the point of view of quantum field theory. Treating all the forward interest rates as independent random variables has been studied in [52, 67, 85]. In references  and  a correlation between forward interest rates with different maturities was introduced. In  the forward interest rates were modeled as a stochastic string, and a stochastic partial differential equation in infinitely many variables was obtained. A detailed discussion of the various generalizations of the HJM model, and their relation to the quantum field theory model of the forward rates, is given in . In the quantum finance approach, the prices of all interest rate instruments are formally given as a path (functional) integral and hence it is complementary to the approach based on stochastic partial differential equations. Quantum field theory models of interest rates are based on taking the interest rates as a strongly correlated system, with independent fluctuations for all maturities . It is shown in[ 12] that the well-known results of the HJM model  can be obtained as a limiting case of the quantum finance model of the forward interest rates. As discussed earlier, in the HJM model the fluctuations in the forward interest rates at a given time i are given by white noise R(i) that delivers 'shocks' to the entire curve f(i, x); white noise does not depend on the maturity direction x. Figure 2.3 shows the forward interest rates obtained from the Libor and Euribor futures markets. One can see from the figure that each forward interest rate is evolving randomly in time. From the data, it is clear that, for each future time x, the forward interest rates f(i, x) are evolving under the impact of independent random shocks. Ji0 Jio where A(i, x) is a generalization of white noise R(i). For the case where a(i,x) and a(i,x) are deterministic, f(i,x) is called the bond forward interest rates. The quantum finance model proposed for f(i, x) in Eq. (5.1) is appropriate for studying the bond sector of the debt market. For studying the interest rate component of the debt market, Libor forward interest rates is another collection of rates that is more suitable. The Libor case is nonlinear and has stochastic drift and volatility that are very different from the bond case. The bond forward interest rates will be denoted by f(i, x) for the rest of the book. In contrast, the Libor forward interest rates will be denoted by fL(i,x). Only the bond forward interest rates are discussed in this chapter and hence, unless necessary, they will be referred to only as forward interest rates. It should be noted that the terms bond and Libor forward interest rates refer to models that have been constructed to explain the market's behavior. The empirical forward interest rates are neither bond nor Libor forward interest rates, but, rather, are essentially the same for both the bond and interest rate sectors of the debt markets. It will be clear from the context what forward interest rates are being discussed. The quantity A(i, x) is a (classical) stochastic field that delivers, for each future time x, independent'shocks'to f(i, x). Eq. (5.1) is very different from Eq. (4.38) of the HJM model, since now both the stochastic noise term A(i, x) and the forward interest rates f(i,x) are on par. In fact, Eq. (5.1) is a change of variables from stochastic field A(i, x) to stochastic forward interest rates f(i, x). Both fields are equally good for describing the interest rates, although, as one can imagine, the choice of which one to use depends on the financial instrument one is studying. In quantum finance, all financial instruments, such as interest rate options and other derivatives, are defined by averaging the stochastic forward interest rates over all possible values; the averaging over the stochastic field is mathematically identical to the averaging in Euclidean quantum field theory. The random evolution of the instantaneous forward interest rates implies that f(t, x) is an independent random variable for each x and each t. Or equivalently, f(t, x), for each x and t, is an independent integration variable. As discussed in Appendix A.7, the generic quantity describing such a system is a quantum field . The forward interest rate is mathematically equivalent to a two-dimensional quantum field. In quantum finance, the techniques of quantum field theory are employed for modeling interest rates. The theory of quantum fields  is a vast and complex subject that is at the leading edge of theoretical physics. Quantum field theory has been developed precisely to study problems involving infinitely many degrees of freedom and so one is naturally led to its techniques in the study of the interest yield curve. For notational simplicity, both t and x are taken to be continuous. In Chapter 16, the lattice theory of the forward interest rates is defined by discretizing both t and x so that they take integer values in a finite set.